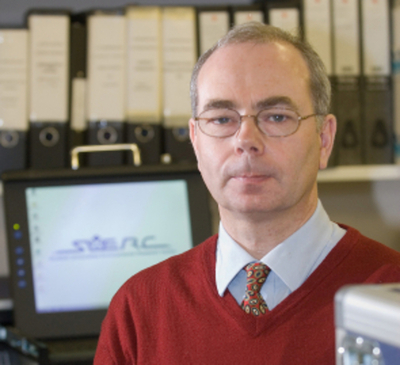 David Sanderson is Professor of Environmental Physics at the Scottish Universities Environmental Research Centre (SUERC) and an honorary lecturer in Archaeology. He pioneered reliable methods for detecting irradiated food, a matter of considerable public concern. He was appointed as a lecturer of Environmental Physics in 1986, the year in which he made this significant discovery. The first demonstration of the use of his method of Thermoluminescence took place on 27 October 1986 in East Kilbride. The resulting research confirmed its reliability and the technology became first the European standard for detecting irradiated food and then the world standard. Sanderson was subsequently appointed to the chair, and continued to develop the technology.